David has enjoyed 30 years of international experience as an award-winning executive/digital producer, media educator, investor, venture catalyst, speaker, writer, philanthropist, board member and/or advisor to numerous startups, institutions, multi-national and government entities – with his mission the delivery of bio-psycho-social value via the intersection of technology, immersive distribution platforms and entertainment. His most recent movies were JOBS (Executive Producer) and BRONX BULL (Co-Producer). His first feature film was the LAWNMOWER MAN, for which he served as virtual reality consultant and a producer of display graphics. 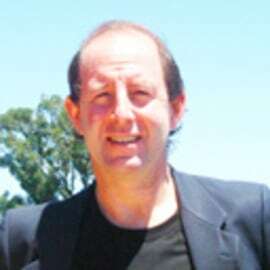 David speaks globally, has been published 30+ times – including late 1980’s articles on the use of VR for delivering education, and serves as an Ambassador for the Immersive Technology Alliance (http://www.ita3D.com), a well recognized non-profit industry group/voice for technologies such as VR and AR. David earned a Masters in Education in 1990 from Harvard University with a focus on optimizing economic and career development via immersive entertainment interfaces/media, while conducting simultaneous class-work at the MIT Media Lab and Harvard’s Business School. In 1984 he earned his undergraduate degrees in rhetoric and film with honors from the University of California at Berkeley.